Every day, millions of people around the world enjoy a hot coffee or cold beverage on the go. While these drinks have become an important part of our routines, the fiber cups that hold them are damaging the environment. Each year, an estimated 250 billion fiber cups are distributed globally. Most of these paper cups are lined with plastic and in most recycling markets these materials aren’t easily separated for recovery. The majority of cups end up in landfills, contributing to greenhouse gas emissions and turning a resource into trash. Today, the NextGen Consortium launched the NextGen Cup Challenge, a global open innovation initiative seeking to identify existing and future solutions for the single-use, hot and cold fiber cup. The Challenge is just the first phase of a $10M multi-year, multi-industry global consortium that aims to advance the design, commercialization, and recovery of food packaging alternatives. Starbucks and McDonald’s are NextGen Consortium founding partners, The Coca Cola Company and Yum! Brands are supporting partners, World Wildlife Fund is advisory partner, and the Consortium and Challenge are managed by Closed Loop Partners’ Center for the Circular Economy, with OpenIDEO as our challenge partner. This ground-breaking partnership reflects increasing recognition among competing businesses that opportunities for collaboration create value that outweighs the risks. The NextGen initiative is exploring how cup materials can retain their value at every stage of their life cycle, and this is only possible if the product is aligned with the recycling and composting infrastructure built to manage its recovery and reuse. When businesses collaborate to ensure alignment with collection and recovery, as well as markets for post-consumer feedstocks, they benefit their own brand while fostering systems change across the value chain. The NextGen Cup Challenge invites designers, businesses, entrepreneurs, students, and more to identify scalable solutions to make cups recyclable and compostable. Innovations must be safe, cost competitive and meet consumer expectations, while seeking to maximize sustainable and ethical materials. We’ll announce the Challenge winners in early 2019. Up to $1 million in funding is available to top ideas, and up to seven Challenge finalists will have the opportunity to enter a circular business accelerator program. The accelerator will help ensure companies with cup solutions have the business, technical and system support to get their products through supply chains and into the hands of consumers. We know that innovative technical and product solutions alone won’t fix the systemic waste issues of today’s to-go cups. Our efforts go beyond the Challenge and accelerator. NextGen Consortium members have funded a three-year commitment not just to identify innovative cup solutions, but also to work across the value chain to commercialize new cups, address infrastructure challenges, identify opportunities for market demand, and engage consumers. 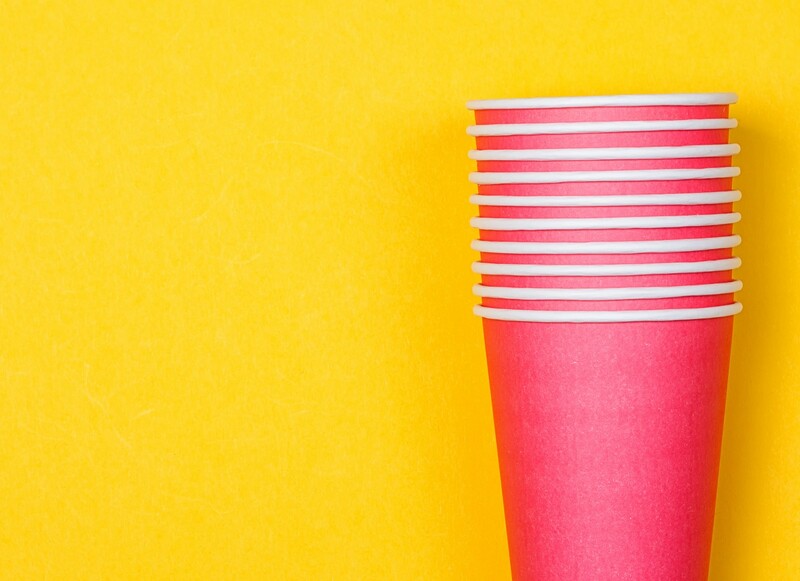 By investing in and supporting recovery infrastructure systems, the NextGen Consortium can advance the economically viable recovery of cups, and ensure that consumers understand what to do to keep their used cups out of landfills and in the value chain. Our vision for this effort is to have many brands on board to reach a critical mass of consistent materials being collected, sorted, recycled, composted, and reused. The more retailers who join the stronger the effort will be to make processing easier within our infrastructure. It’s no small feat that competitors are collaborating, leading the charge on single-use packaging and inviting the industry to join in. The NextGen Consortium is setting a precedent for the value chain that’s as important as the work and investments they’re making. We invite brands, suppliers, NGOs, designers, innovators, consumers and others to join us as we aim to solve this complex but achievable challenge.